Ready for some good, clean fun? Your guests will laugh with glee when they see these fabulous towel cake favors. Each delectable dessert is actually a soft hand towel folded to look like a tasty treat. These unique, practical gifts are perfect for bridal showers or a dessert theme party. Best of all, they're calorie-free! 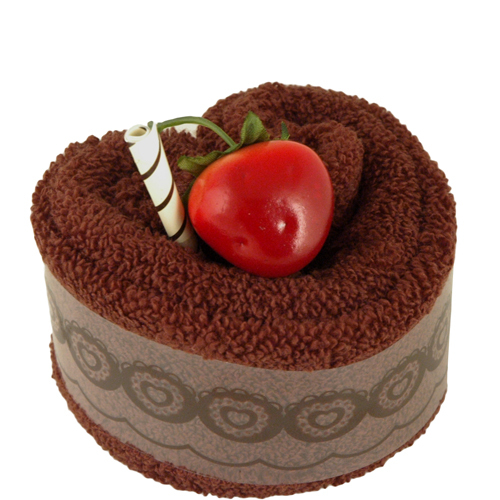 This small hand towel party favor features the requisite cherry on top, making it look good enough to eat! Every guest will swoon over the sweet thought you put into making the bash a hit. When opened, it unfolds to become a velvety soft towel that can be kept by guests for years to come. This fun party favor is a great choice for many occasions, particularly feminine gatherings, such as a bridal shower, a day at the spa for bridesmaids, or any other get-together. Place the cake towel in the center of tables at a gathering for a unique centerpiece, or hand to guests as they leave to provide them with a great conversation-starter as well as a soft way to dry hands. Or, these fun favors can be a great individual gift for a wife on occasions such as anniversaries or Valentine's Day. 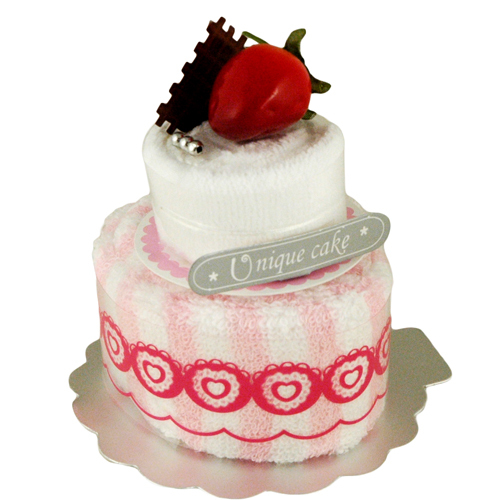 You can also make mom feel special and show her how sweet you really think she is by giving this unique towel cake as a Mother's Day gifts. Pair this chocolate cake towel favor with other chocolate-themed party favors to ensure the occasion is as sweet as it can be. 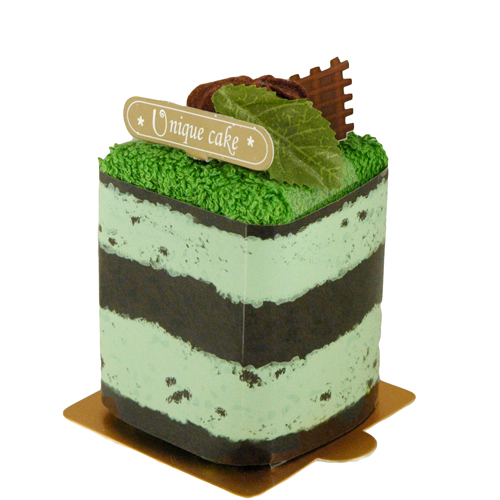 We offer a wide selection of these types of dessert themed party favors, and you can easily pair it with another selection to create an even sweeter atmosphere for your gathering. The Rhinestone Heart Chocolate Truffle Candle Favor Box and the Chocolate Truffle Ornament Plate are two great options for sweetening any deal. I ordered two of these as samples for wedding favors. They're just as cute in person as on the website. Plan to order these in bulk when the time comes. Makes a great favor and is very cute.